what is pistou? 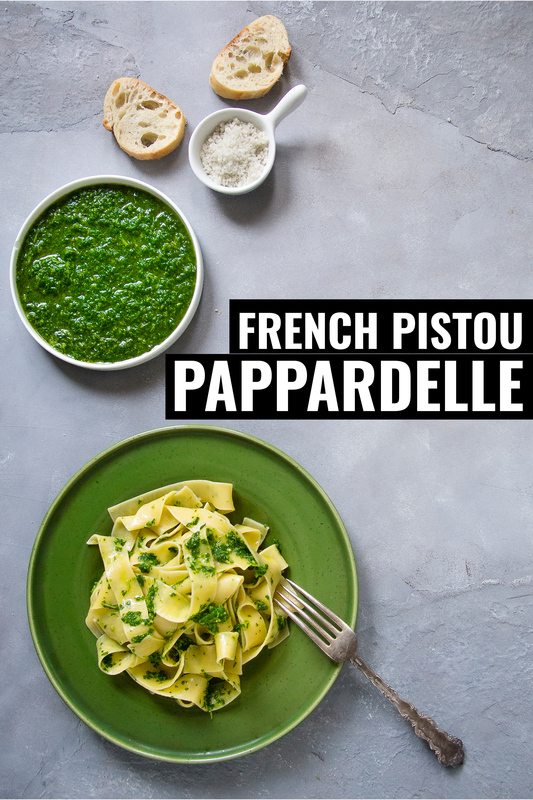 How to make pistou along with a chef’s tip on using basil water for gin! 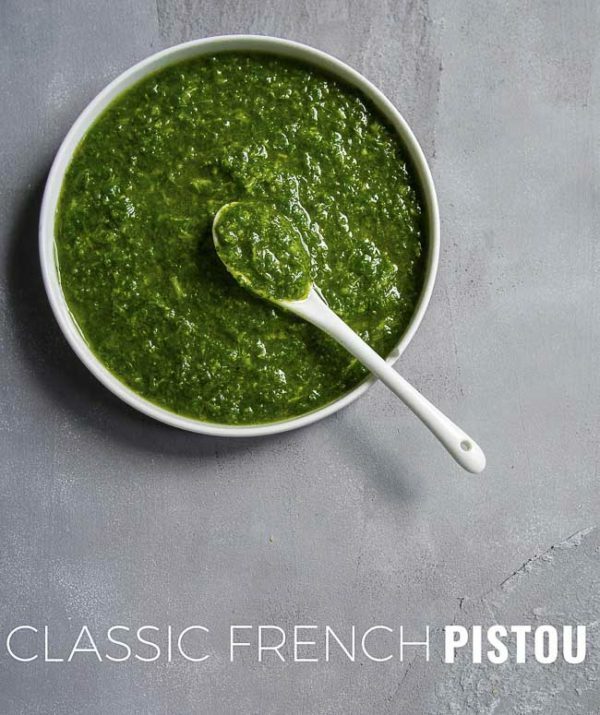 Although many people think that pistou is simply the French equivalent of Ligurian pesto in Italy, it’s not as simple as that. The biggest difference is that there are no pine nuts in French pistou. The basic recipe is Genovese basil, garlic. But there’s more to it, as it was originally without cheese. But vegans proceed with caution. Today if you order something with pistou you’ll need to ask about cheese as modern recipes usually include hard cheese like pecorino or parmesan. 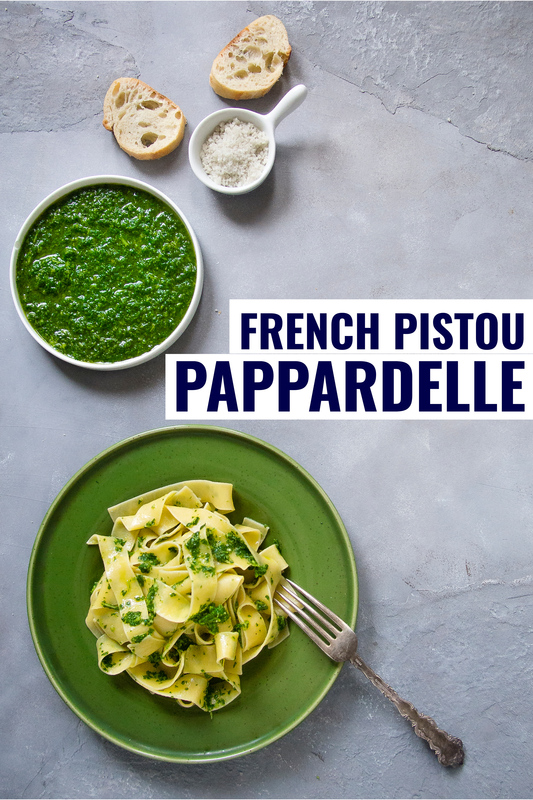 Wondering why a French recipe uses Italian cheese? It’s really not so strange. Pistou is a recipe from Nice in Provence. 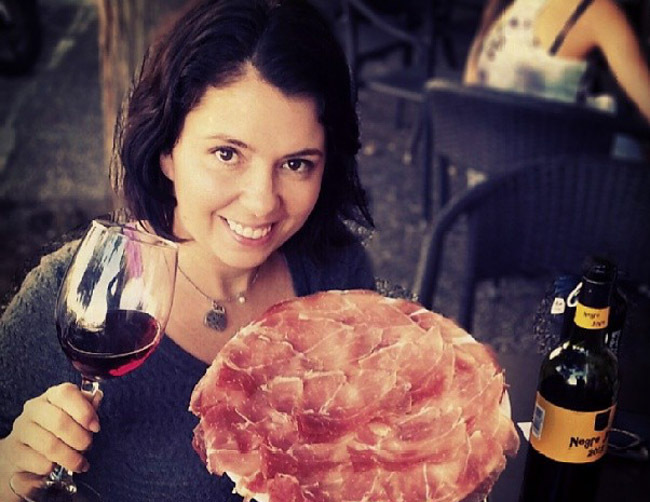 Located on the southeast of France bordering Italy, it shares more culturally and gastronomically with other Mediterranean countries than the rest of France. In fact Provence wasn’t always part of France. It was originally a Greek colony and then part of the Roman Empire. It didn’t belong to France until the 15th century. Traditional food in Provence are not the stereotypical rich, creamy French dishes we know. Instead of butter recipes use olive oil. There are many vegetarian and vegan dishes with fresh vegetables and herbs. Food is much more similar to Italy than say Normandy. In fact, pistou means “pounded”; however, it is not a French word but Occitan – a Provencal dialect. There are so many variations of this recipe that I wondered… What would Julia do? So I pulled out Julia Child’s Mastering the Art of French Cooking. Sure enough she has a recipe in volume 1. However, it was not what I expected. Julia not only used parmesan cheese but also tomato! Shocking but not surprising, most European traditional recipes have so many variances there is no one right recipe. The absolute traditional way to make pistou is to tear the basil by hand and finish with a mortar and pestle. Personally I’m about convenience and so I think its fine to make pistou in a food processor or blender, much to the dismay of many grandmeres. All of the ingredients for French pistou are vegan, except for the optional cheese. But with good quality basil, garlic, olive oil and sea salt you can make it without missing cheese. Where you make vegan pistou or with cheese always use great salt – toss your box of iodized salt and at least use kosher. Salt is one of those little things chefs know makes all the difference. I would use high quality sea salt in this recipe so you get the freshness of the basil and the saltiness from the sea. In this recipe I’ve used this coast grey Celtic Sea salt. You will not miss the cheese if you use great salt. I could serve this to friends and they would just assume it’s pesto with cheese. The optional ingredients are included in the recipe. Personally I would only add tomatoes if they were in season. And as much as I love parmesan, I think it’s more fitting to use Gruyère which feels more French or any French hard cheese like Mimolette. I know this answer because I was about to make pistou when Dave dropped in before service at Loka and offered to help. And I’m happy I said yes because every time Dave watches me cook I learn at least one new thing. Last week making Instant Pot beef stroganoff he corrected how I floured the beef and urged me not to put the browned beef in a bowl but spread out on a cookie sheet so it wouldn’t steam. Today he asked if we had ice because we needed to blanch the basil before making pistou. 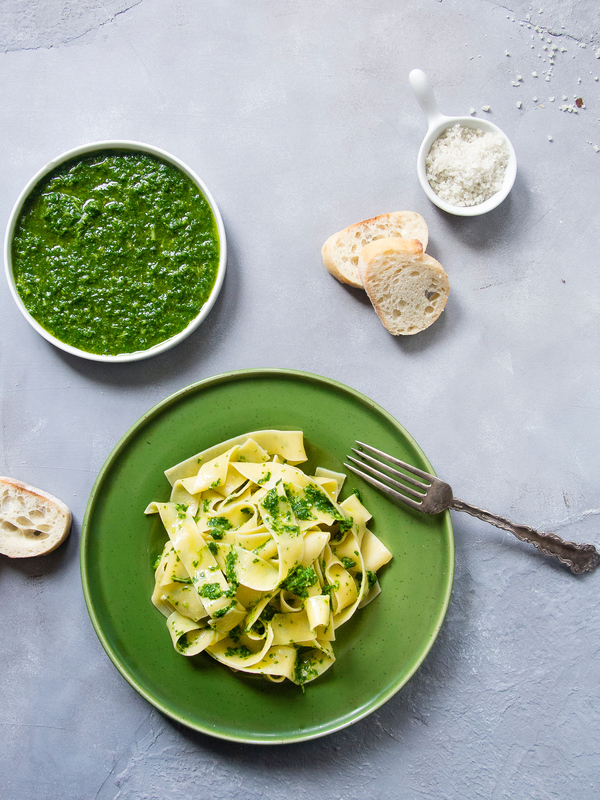 Most people complain about brown pesto and pistou and that’s because they didn’t blanch the basil leaves first. Bonus tip: Don’t throw away the basil ice water – he put it in a container as it’s now flavoured basil water perfect for gin – you gotta love a man that saves you water for gin. Bonus bonus tip: If you’re making pasta keep the stems as they have great flavour. Add them to the pot of water to boil the pasta in for added flavour. Pistou is most often used in soup au pistol, a provencal dish which is similar to minestrone with beans and fresh vegetables. A dollop is added to the soup just before serving. Like its Italian cousin, pistou is very versatile. It’s great on crostini, in a bean salad, on grilled meats or tossed with pasta. It’s also amazing on bread with a poached egg for breakfast. There are so many ways to tweak this recipe, it’s great with chili flakes or lemon juice. It can be made with nuts (walnuts/almonds/pine nuts/hazelnuts) or different herbs like mint or sage. Pick leaves from stems and blanche by dropping in boiling water and immediately straining and shocking in a bowl of ice and water. In food processor pulse salt, garlic and 100ml of olive oil. Check consistency and drizzle up to 50ml more olive oil. Taste for seasoning and adjust if necessary. It will store 2 days in the fridge or six months in the freezer. 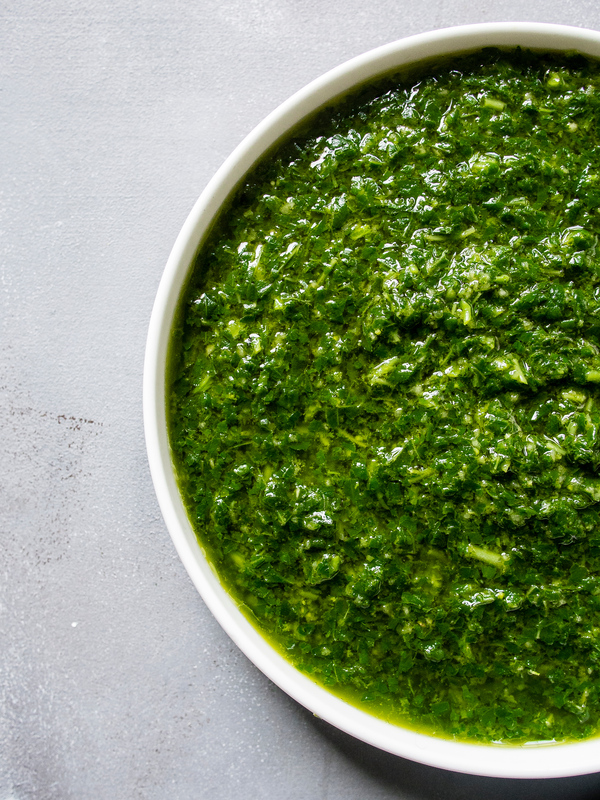 Basil is a fragile herb and while you want to smooth pesto don’t over blend in the food processor. It should be smooth but not like white glue from your school days. 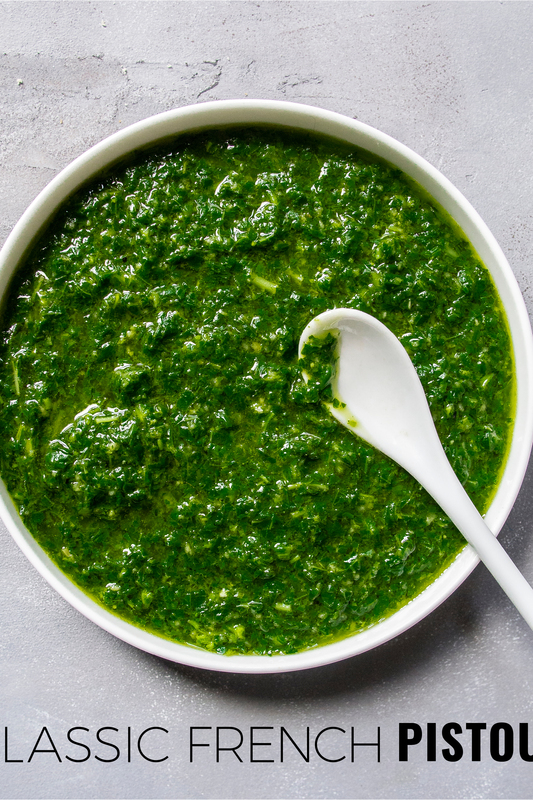 So if asks you what is pistou, remember it’s not a lesser version of pesto – it’s delicious in its own way. 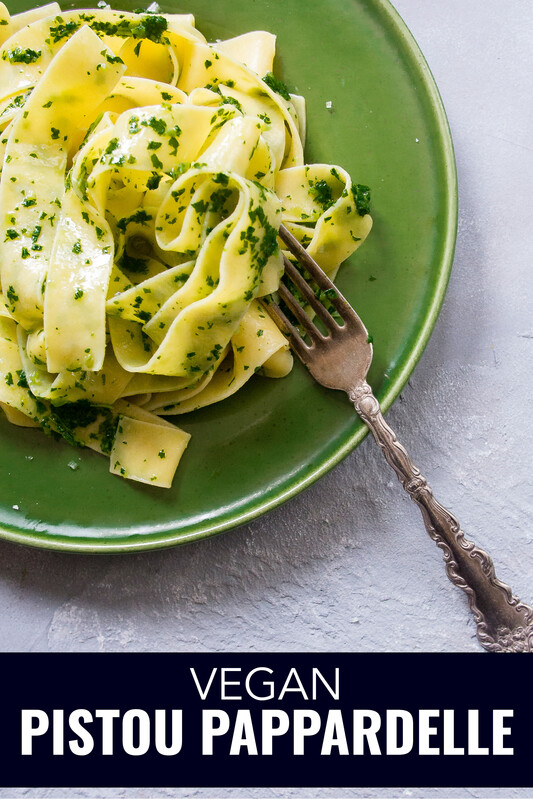 oooh, I’m definitely making this soon, and the tip on blanching the basil is awesome, never thought to do that! This pistou not only sounds absolutely delicious, but looks beautiful, too. I have a garden full of basil, so I’ll be making this for sure. Thanks for sharing! I loved reading all about the history and the different variances in the sauce. It looks delicious! I love pistou! I make it every year when the basil plants are big and freeze it in ice cube trays to use in soups and sauces all year round. It adds such a great kick to dishes, especially in winter time! So funny that I’m coming across this post, because I’ve been seeing pistou everywhere this week and it’s made me realize that I really need to try it! I love how bright it is — you can tell it’s herbaceous AF. Lovely recipe. Thanks! No you should use 1 tbsp of good quality salt and it won’t be too salty! We were just in Juan les Pins and Antibe last week and absolutely LOVED a dish of mussels topped with pistou – so much so we went back another night to have the dish again. Thank you!!! I have been trying to recreate the recipe – I believe you nailed it – no need for the cheese! Good salt is all you need. So glad this recipe helped!